In Life of a Triathlete, Meredith Kessler guides amateur and pro triathletes toward achieving their goals by outlining skills that can be translated into multiple athletic endeavors. The manuals approach the sport from a practical, business perspective, where real-world topics are dissected in a manner rarely attempted in triathlon publications. Safeguarded tricks of the trade are now compiled in one forum to assist athletes by reducing the confusion of a highly intricate sport. Triathletes spend tens of thousands of dollars to compete in a sport where they flounder for multiple years trying to learn the difficult nuances to compete at their peak level. There are countless books and instructors teaching the sport of golf, but absolutely nothing has existed to assist the triathlete. For the price of a box of a pair of Saucony compression socks or yurbuds sport earphones, Life of a Triathlete provides the tools to eliminate the many years of trial and error from your athletic journey to help you achieve the success you deserve. 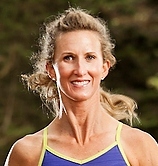 Meredith Kessler is a pro triathlete, cycling instructor, triathlete coach, and multiple Ironman champion. She travels the world racing competitively, while balancing family, friends, and training. She is stepping into the literary world with her first manuals, Life of a Triathlete: Race Preparation and Life of a Triathlete: Business. She resides in Marin, California with her husband, Aaron. Visit Meredith online at www.meredithkessler.com, or follow her on Twitter (@mbkessler) and Facebook, to find out more about her, as well as her sponsors, blog, and past and future race schedule. Aaron Kessler is an entrepreneur and outdoorsman. His current projects include laying the foundation for the Life of a Triathlete movement, consulting for Continental Message Solution, and developing ways to help aspiring triathletes reach their athletic and business goals. He graduated from Harvard University where he played four years of varsity baseball, and he resides in San Francisco, California. Follow him on Twitter at @lifetriathlete and @kessler32.